In Theory a great idea. After all you get to play the old classic dos games from this right? Unfortunately I find the execution to be a little wanting. Why do I have to sign up with their service? 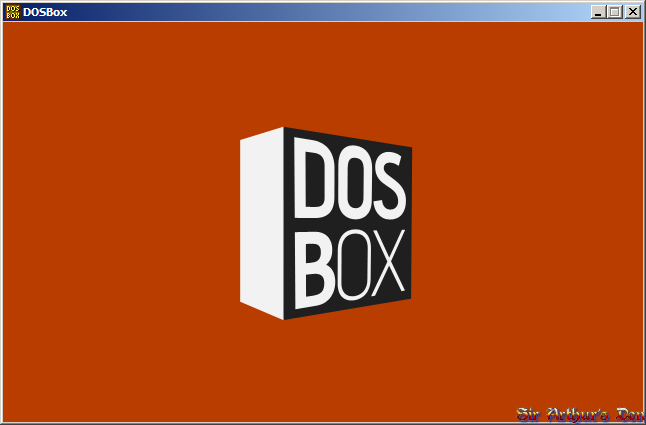 Why not have dosbox tied to my gdrive for the purposes of backups and syncing? I personally want to grab things off gog, steam, or wherever, and have a clear set of instructions on how to transplant ye olden software from their directories into 'my' dosbox and play. There are other titles that could be folded in; full games like Amulets and Armor, Elder Scrolls dos games that have been made free downloads for ages, or even a source port of doom that if you added the freedoom wads would be right at home here. If that wasn't enough there's non-gaming applications that could be made to run on DOSbox. I'm not sure if this version supports such things, but it should if the hardware has enough oomph. What boggles my mind is that it's apparently taken this long to happen. We've had Native Client support for ages now and I'm only just now seeing a version of dosbox in store? Guys? Android and iOS have had this going on for ages. What's the catch here? Oh. Right the whole 'wants you to direct and upload your own material to an outside website so you can play it.' This is a serious problem that I personally think will kill this iteration of the thing. Why? Steam. GoG. Classic games are no longer just the domain of abandonware and torrent sites with warez being your only option, and haven't been in years. I find the 'upload to the mystery website' idea a tad sketchy and really wish it had an 'upload to GDrive/Play Locally option. Granted I do like that the site includes some nice shareware options (duke nukem, jazz jackrabbit Yes Please.) I just don't like the delivery here and would want things to not depend on some outside place that might or might not still be around in a year or so. If you want to try it out here's the link. My assertions could be off and the site won't get taken down for hoovering up commercial titles to later package as torrents. Still even if that doesn't happen I think they could have handled things differently.